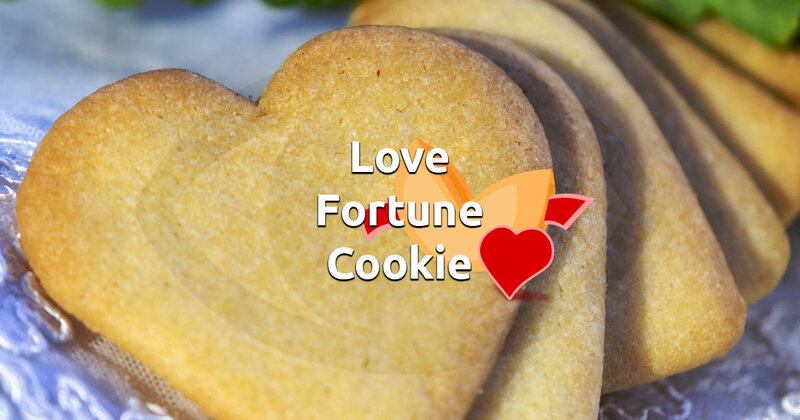 The charming aroma of our freshly baked love fortune cookie tempts with its mystery wisdom, isn't it?! Focus on your love life and see what romantic tip this sweet thing is hiding for you. Or maybe for your special someone? Click on the image below to crack open our free virtual love fortune cookie and enjoy its messages as many times as you want!